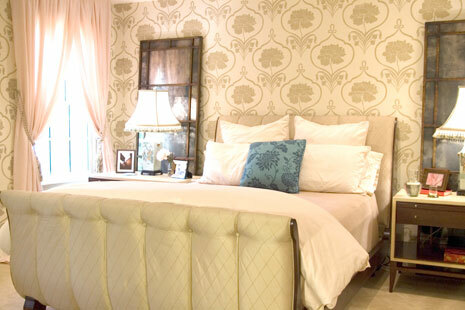 Why hire Amy Yin Interiors? You benefit from our collective expertise and avoid learning lessons the hard way. With over 30 years’ combined design and project management experience, we are adept at uncovering your unique style and creating a cohesive look for your home. We’ve also cultivated an extensive network of tried and true professional contractors and craftsmen. Your life is busy enough; we make your life easier by managing your project and coordinating all the details. We make it easy to “shop with us” at the showrooms from the comfort of your home/office by using texts for your immediate feedback. If you’re overwhelmed by the ocean of online (mis)information, we’ll help you become "smart shoppers" and advise when you should splurge, save, or invest. Because we explain the pros/cons, you can make confident, timely decisions and simply enjoy the final results. Your design team will respect your budget, time and role as homeowner. We see ourselves as creative problem solvers (not product salespeople) so if the best design for your space does not require any new purchases, then that’s what we’ll recommend. We demystify the design process, openly discuss issues, and provide guidance so you can decide what is best for you. We take pride in our designs and have been honored with multiple national design and service awards. We care about our clients, partners, employees, and community. Collaboration is key. Your input and insights about how you live today and how you wish to live are the foundation for our designs. We'll discuss what you hope to do in the space, how you want to feel when you're in it, and how you want it to look. This is a time for reflection and imagination. Then, we measure and review existing conditions and anything you wish to re-use in the new design. After we create a space plan and furniture layout that meets your needs, we develop the style and refine the budget. With our strategic use of color, texture, pattern, light, and other elements of design, you'll see your unique space come to life. Time is precious. So, we have developed detailed procedures and processes and invested in the latest technologies so we can work efficiently and effectively on your behalf. For example, before we agree to work together, we document and clarify your project's scope, pricing, payment terms, and timing. You will have opportunities to ask questions and make adjustments to the proposal so we can minimize confusion and ensure we are all working towards the same goals. Financially, we offer several options for clients and create a customized proposal for each project. Your proposal may include a traditional hourly fee plus retainer, an in-home consultation fee for smaller projects, or a project-based flat fee for design work (our most popular option). It depends on your preferences, your desired investment level, and your project's scope, complexity, and timing. Popular design services are: whole house design, paint color schemes, custom window treatments, family room and play room designs, space planning or furniture layouts, spa bathroom design, custom furniture, master suite design, art/accessories selection, and finish and material selection for new construction. We also offer purchasing, installation, and project management services. Our design team has over 30 years combined design and project management experience. We love what we do and hope to have another 30 years of creative problem solving, fun, and inspired design! We specialize in residential design, although we have also helped retail and commercial clients. Our goal is always to provide the best design solution for you -- one that will make you smile with pride and joy, improve the quality of your life and home, and do so within your desired investment range. Luxurious master bedrooms, spa bathrooms, powder rooms that make a statement, and fabulous, family-friendly living and dining spaces are favorites of our design team. Clients, who are building an addition or buying new construction, have also been pleased with our advice when we review their architectural plans with furniture layout in mind, and select materials and fixtures with them. It is far easier and more cost effective to make changes on paper than on-site! We also enjoy working on projects with special situations -- clients with allergies (food and chemical sensitivities), a 5'-0" client who could never find comfortable furniture, a retiree who wanted to "age in place" and needed us to address lighting and safety concerns, a client whose windows were huge and made the room too hot, nonprofits with small budgets but many volunteers, etc. If you have a special need, please contact us. We have many resources (including custom furniture makers and workrooms) and welcome the opportunity to help you. No two people are the exact same, nor are the spaces we design. If you look at our portfolio, you will see a variety of styles because our clients have lived in European mansions, traditional colonials, contemporary condos and everything in between. Common elements that run through our designs are clean lines, clutter-free decor, overall visual balance, strategic use of color and texture, layered lighting, and an emphasis on comfort, practicality and personalization for each client. By applying timeless design principles and our discerning eye to your project, your decorating style will be edited and refined.Whatever your style, our goal is to help you articulate it and develop your design voice. What is the difference between an interior designer and an interior decorator? Why might I also need a contractor or an architect? An interior decorator works on beautifying an existing space through the placement of objects, selection of furnishings and application of decorative treatments. 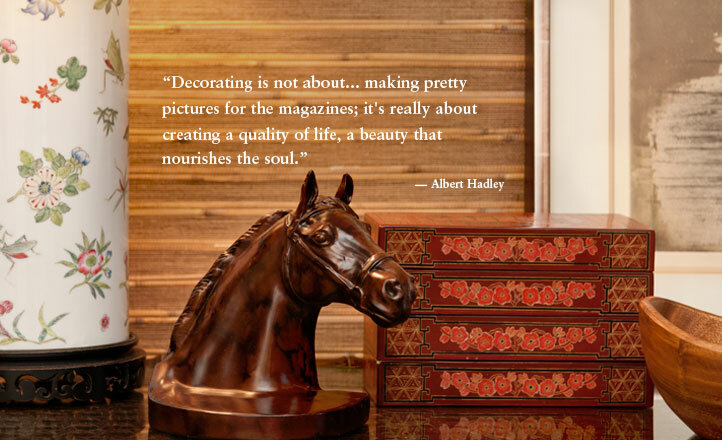 An interior designer can decorate and more. We are trained to make spaces that look good and work well for your lifestyle. We address the overall space and how it relates to other areas of the home before we address what's in the room. We understand ergonomics and human proportions, can read and prepare architectural plans, and work with construction trades as well as decorative artists. We also prepare detailed plans for lighting, architectural millwork, custom built-ins, and furniture arrangement. A general contractor implements those plans and advises on feasibility and cost. An architect is required if the project involves changing structural, load-bearing walls and is also consulted if we are impacting the exterior of the home. Should I take advantage of a retail store's free design services? It depends. Working with a free in-store designer can give you initial ideas of what is possible. However, they are usually limited to suggesting solutions available through that store only. The ideal design solution for your space may not require any new purchases, or it may require something in a non-standard size or color. You may want furnishings from a variety of sources and in a mix of high and low price points. If you are concerned about a conflict of interest, you may wish to work with a designer who is compensated for his/her insider knowledge and advice, rather than a salesperson who is compensated for how much you purchase. How do you handle it if my spouse/partner and I don’t have the same taste? This is more common than you may think. We learn about your individual likes, dislikes, and any “dealbreakers.” By finding your common ground and incorporating distinct elements of what each of you like, we create a design that appeals to both of you. Sometimes couples are happily surprised to find they have a lot more in common than they realized! How do you work with architects and general contractors? We work together on your behalf to make your dream home a reality. Architects work with the main structure of a building and how it relates to its site. They can make changes to that structure but generally don’t specify all the details of the interior. Interior designers cannot make structural changes but are trained in drawing floor plans, space planning, kitchen and bath design, custom cabinetry and built-in design, color schemes, flooring design, lighting specifications, furniture selection, and wall and window treatments. Contractors have the expertise on how to implement the designs of the architect and designer. If I have my own tradespeople, are you willing to work with them? Yes, we can work with your contractors. We also have experienced, carefully selected, tried and true contractors who we know can work with high end or more complicated products, will focus on solving problems, and can implement the unique and often "never done before" designs we develop for our clients. Will you send me a design-only plan that I implement myself? Yes, of course. You can make the changes in your home over time, as your budget and free time allows. "Hands on" clients have told us our comprehensive design plan and professional advice saves them time, simplifies their project, keeps them focused as they shop, and helps them decide how to use their budget. How will you make a space feel unique to me? By getting to know you! We ask a lot of questions early in the process so you can give us a solid understanding of your style, lifestyle, and taste. This is done through detailed questionnaires, discussion of your magazine files or online ideabooks, as well as a review of any existing pieces you wish to use in the new design. The more information you provide, the more tailored our design can be. As the design starts to take shape, our team will reach out to you for immediate input and feedback. Your timely response is critical to keeping the project moving so you can enjoy your finished space sooner. One more thing -- we "retire" any fabrics once they are used on a project. And if your friends call us to copy your look, we'll refer them to a fabric similar to yours. (Believe it or not - this has happened!) It's just one more way we ensure your home is as unique as you are. Typically within a 30 minute drive from our Short Hills, NJ office. We have also worked long distance by phone, internet, and mail. It depends on the project, so feel free to contact us. Will you take on a small project? Of course! Designing a space is like designing an outfit. Some people hire us to put together the entire look from "head to toe," while others just want help for the jewelry or the shoes. In interior design, this might be a situation where the client has furniture but would like help with accessories, window treatments, or rugs. If you think we can be of help, please contact us. Sometimes, the smallest changes can make the biggest impact. How long do design projects generally take? It depends on the project. A one-time consultation may last an hour or two. Larger projects generally take a minimum of one month but can extend to a year or more. If construction is required on your project, you will want to minimize disruption to your lives. Careful planning and coordination will be required to manage many factors, including product availability and delivery, contractor and workroom scheduling, obtaining permits, and access to the job site. How far in advance should I contact you about working together? It's never too early. Because we carefully manage our project calendar to avoid overbooking, once your project starts, you can be confident your project will receive our focused attention. Do you offer in-home consultations for free? We offer a free phone meeting with our principal designer. Depending on your timeline, scope, and budget, she will recommend the most suitable next steps. In-home consultations are available for an hourly fee. Clients hire us to estimate a realistic budget, jump start their projects, prevent mistakes, and even settle arguments. When you consider the potential costs of do-it-yourself design by trial and error, an investment in a brief meeting with our design experts is well worth it. Do you work with all budgets? Yes, we do. Clients hire us to help them determine a realistic budget given their goals. We also share our experience about how to organize and schedule a project, and advise where to invest vs. where to save vs. where to splurge, so you can make decisions with confidence. Our goal is to create the best design for your space in the budget range that is comfortable to you. Sometimes, even if new clients have a generous budget, we may advise breaking the project into multiple phases to establish trust and a mutual understanding. How much should I plan to invest and what should my budget include? No one wants to spend more than they have to, no matter what size their budget is. Only you can determine your desired investment level, but we will work with you to develop realistic budgets. The general rule of thumb is to set aside 1/3 of your home's purchase price for design and decorating to achieve a suitable level of quality to match your home. We also highly recommend clients reserve 10% of the budget for unforeseen events. Your ideal investment range should include actual products you want, freight, local delivery, sales tax, installation, labor to fabricate the design, and our design fee to design, specify, and manage your project. For an additional fee, some clients also ask us to oversee implementation (e.g., purchasing, order tracking, delivery scheduling, inspections, claims, and installation). I want to shop online and/or buy products directly. Will that be a problem? This is a growing trend that can save clients money, as long as you have the time and attention to detail to place the orders, follow up on them, schedule delivery, and submit claims (if needed). We provide the specifications so you can place the orders on your own. If you are interested in purchasing on your own, please let us know at the start of the project. We will reduce the estimated fees to reflect your taking over the responsibility of orderings, following up, inspection, claims, and delivery. We accept cash or check only. However, more and more of our sources and showrooms accept credit cards from our clients. If you are interested in this option, please let us know so we can make arrangements for you. I like what I've read so far. If I am interested in working with you, what’s the next step? Thanks for your interest! The next step is to set up a phone meeting with our Project Coordinator. Please email i...@amyyininteriors.com with the proper spelling of your name, best times to reach you and your contact information or text us that information at 908-899- 1553. We will be in touch as soon as possible and look forward to learning more about your project.